HotSpot’s Credit Card Payment Module helps you to save time and resources by allowing the customer to create and pay for network access directly from their computer. With this option you can install unattended HotSpot gateway and our software will do all the job. Visitors who are willing to use your services can sign up for username and password, choose a price plan and pay with their credit card. The processing occurs within seconds and your customers are able to continue using your services. Complete list of the supported payment gateways is listed here. The module can be purchased for any edition. For most of the payment gateways you need to set your merchant username and password, while some of them require an API signature issued by payment gateway and configuration of proper currency code. If the gateway requires special configuration, Hotspot will display a note on the page after selecting desired payment processor from drop down menu. Payment is initiated on the HotSpot login page and completed on PayPal site. To configure this method, please enter your business email. 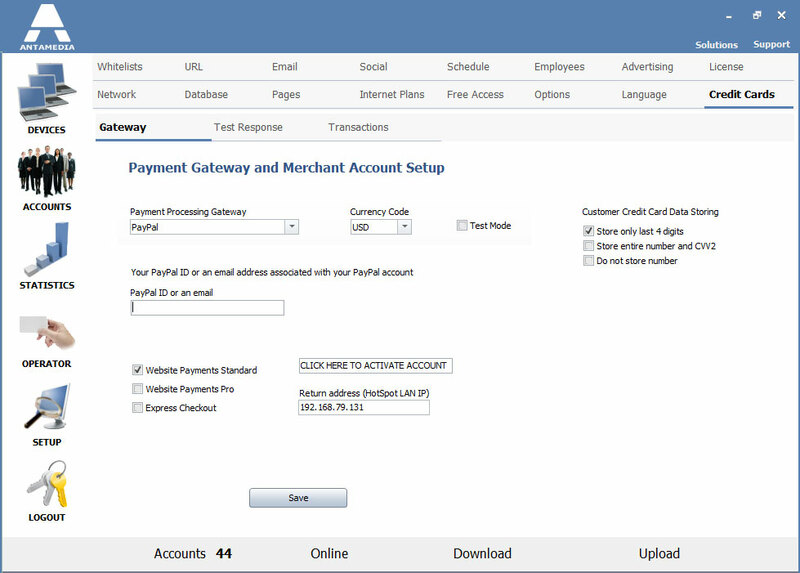 Payment is completed from our software and there is no need to transfer a customer to PayPal site. Processing is completed faster but this option requires PayPal account with Payments Pro option enabled which is usually charged monthly by PayPal. Payment is initiated on the HotSpot login page and completed on PayPal site. Customer can use existing PayPal account for the payment which significantly simplifies order, and the credit card payment is available for new customers who doesn’t have a PayPal account. To configure PayPal Website Payments Standard in Hotspot, you need only PayPal ID or an email associated with your PayPal account. For other methods, PayPal API signature has to be created. Please check at PayPal website what are the current requirements for API signature creation. 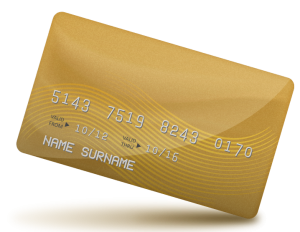 Whitelisting of servers which are used during payment processing is required. Please click Refresh Now link on HotSpot Setup – Whitelist – Host Whitelist page.